It's quite interesting how room bounding works. 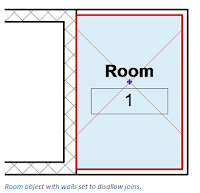 If you stretch the wall in your example away by an inch or so (leaving a gap), the room still finds the bound, even though the walls are not continuous. Of course if the gap is too much, the room won't be enclosed and a warning is issued and recorded in the Review Warnings dialog. 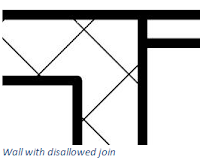 On the subject of room bounds...curtain walls don't behave the same as walls. 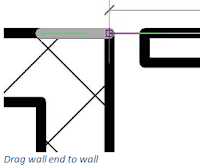 Room bounds are determined by the "location line" of the curtain wall. 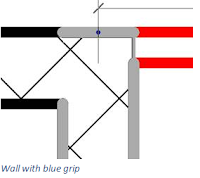 So if you have mullions and panels with an offset (location line on the exterior face), your rom area calculations will be overestimated. might be too late for this but i highly advice against performing the opporation you're suggesting in you post. while technically correct it sets you up for a whole lot of work later on... this will need to be done at every intersection like this.